Stop the presses, guys, Justin Bieber just issued the apology of the century. 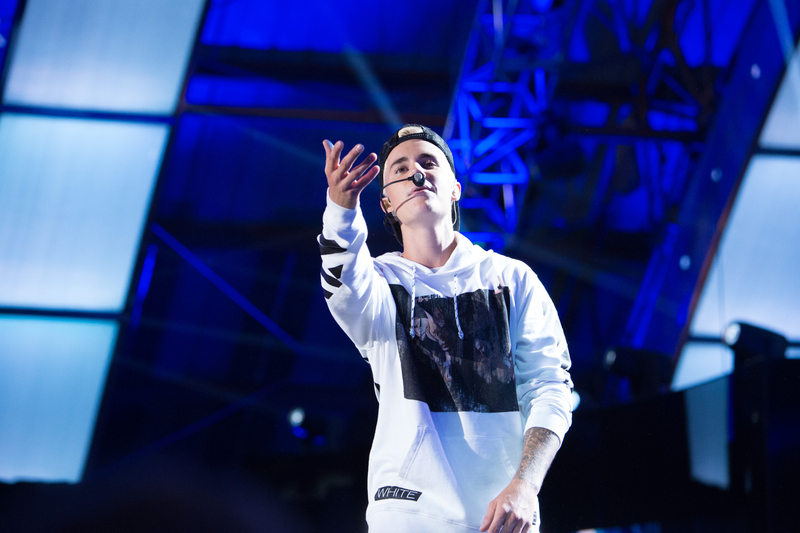 As fans wait for Bieber's new album Purpose to come out, we're treated with a small taste of one of the tracks. That is, Bieber just released the music video for " Sorry" in all its candy-colored glory, and people are FREAKING OUT about it. Why? It's a coolsvideo, no doubt, and though it features zero Bieber — something that I'dve thought Beliebers would be disappointed about — it features many neon-clothed dancers breaking it down and lip-syncing along to the track. It's fun, it's light-hearted, it's well-choreographed, and the Skrillex/Blood Diamonds-produced track is catchy as hell. But, ever since Bieber issued a formal apology to the world during Comedy Central's Roast of Justin Bieber, I think we all have reason to be skeptical of all "sorrys," past, present, and future. Is this all just one PR move on Bieber's part, or does he truly mean it when he says sorry to you, me, Selena Gomez, and America? In any case, since this is just specified as the "dance video" it looks like there could be more of "Sorry" to come (though, of course, this is unconfirmed). Watch the video below, and then check out how Belieber's are reacting to Bieber's new track. Yeah, all things considered, you have to admit the song gets in your head, builds a nest, and lays some eggs in there. In short, a perfect piece of pop music. Sorry, not sorry.